The 2016 Tennessee State Judo Championships took place at the Harding Academy Gym in Memphis Tennessee on April 23, 2016. The tournament was well officiated with 3 referees (Randy Pierce, Bryan Enlow, Derick Wellman) representing White Dragon Judo Club. 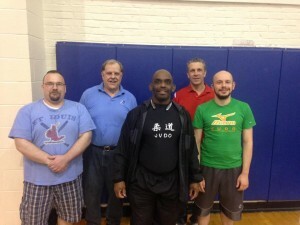 Team White Dragon had two representatives, Demonn Smith and Jay Baker, competing in this tournament. The brackets were stacked with judo talent from across the midwest region. Both judokas fought very well but were unable to medal at this contest.